It’s not every day that or your bestie gets married and it’s certainly not every day that you can have a bachelorette party. The struggle is real to not be cliche as all those other maids and yet you want to raise the bar high in having the party of all parties. If you’re struggling between the trashy or classy route for your last night out why not have a little bit of both? Be the envy of all bride-to-be’s and her tribe with I Do Crew bachelorette shirts. 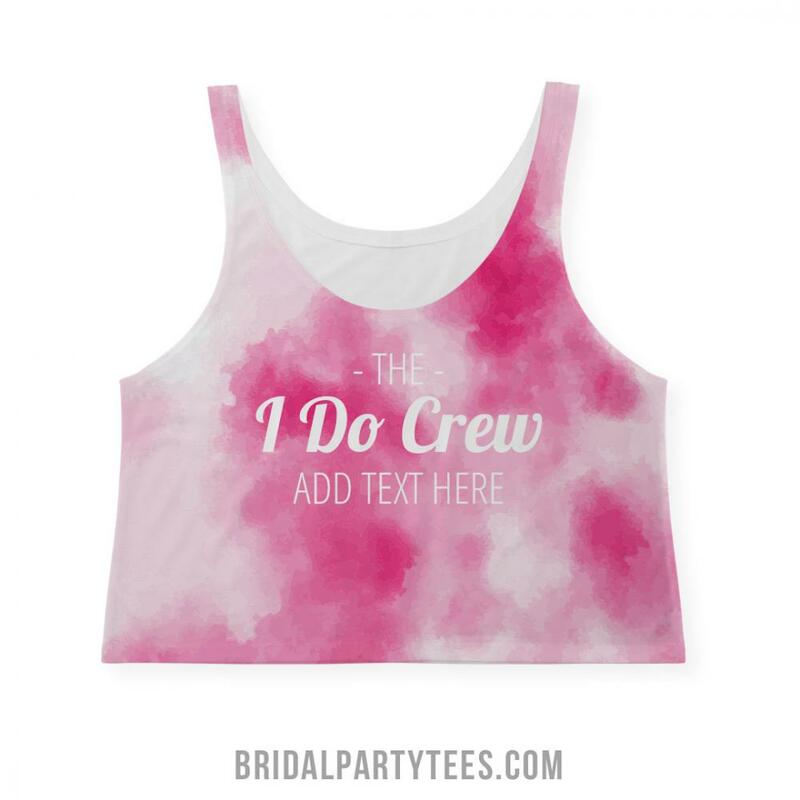 The I Do Crew is all the rage and Bridal Party Tees has designs and apparel that no one else online can offer your bridal party. Wear jeans, tutus, or pencil skirts – this catchy slogan is pretty perfect for any bachelorette theme you plan on throwing. 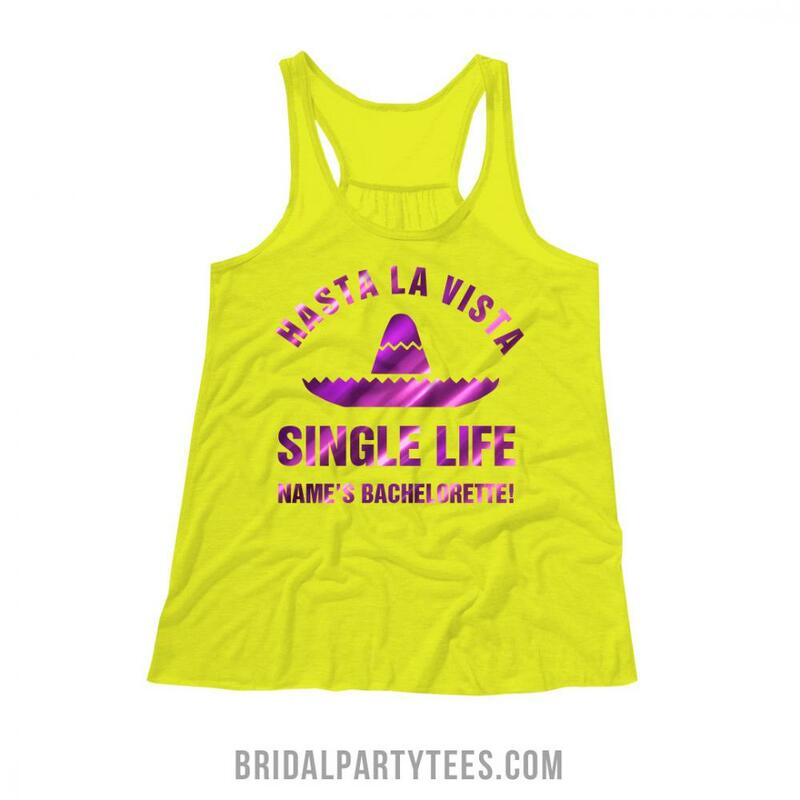 The best part about our I Do Crew bachelorette shirts is that you can wear them twice! Don your custom I Do Crew tops while getting ready for the big day. That’s right – custom I Do Crew shirts. 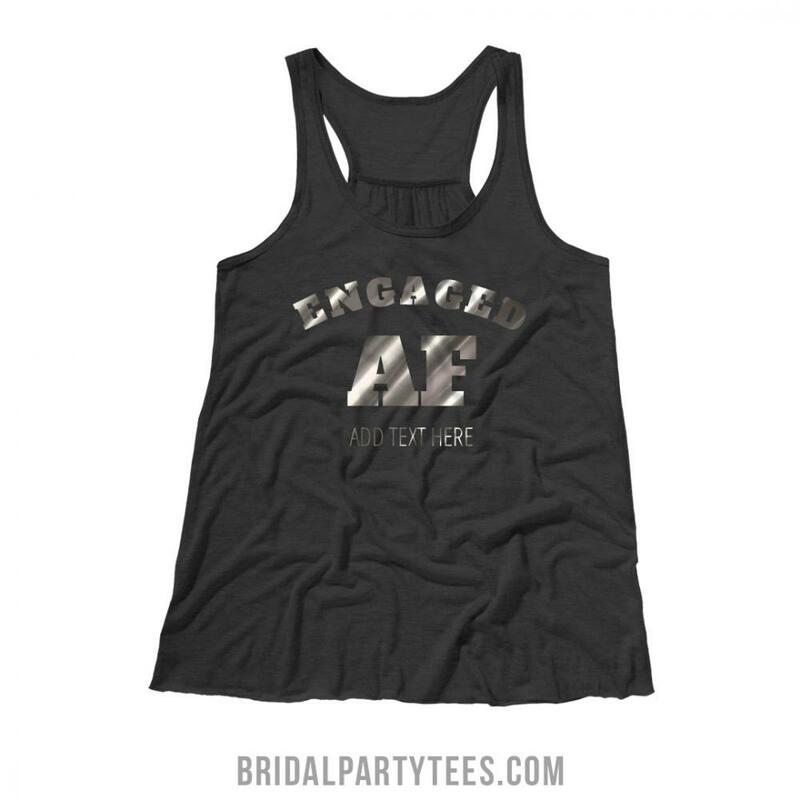 Bridal Party Tees offers a one of a kind design center that allows users to customize any design in or gallery AND any piece of apparel we offer. We carry brand names that include Bella, Alternative and American Apparel but the options don’t stop with tees and tanks. Any design you see in our gallery can be customized to any product we provide on our website at no extra cost. All you have to do is find the design you like and swap out the item in the design center. Equip your crew with matching bags, hats, and swimsuits! Boom. You’ve just become the IT bridal party. We’ve already supplied some great designs to get you started but we would love to hear and see what you come up with. 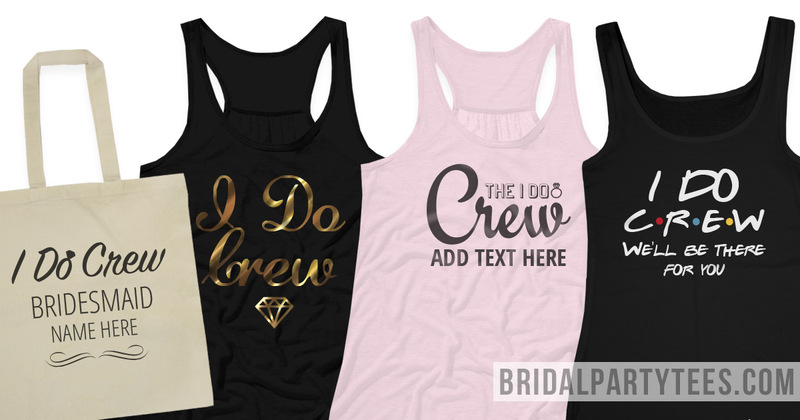 Show us your crew representing via Facebook, Twitter, or Instagram @bridalpartytees! Your wedding day is considered one of the best days of your life. It can be exciting, overwhelming, and you’ll most certainly want to capitalize on every moment leading up to those official “I do’s.” At Bridal Party Tees, we couldn’t agree more and we can’t get enough of seeing our designs in action. We are ecstatic to share our featured maids and bride-to-be in their Best Day Ever Wedding shirts! These happy maids customized their designs on our Bella flowy collection. This selection of tops includes crops, tanks, and even long sleeved options. This lightweight, super soft and very feminine line of apparel has a slightly transparent print that allows the color of the garment to show through giving it a more fashionable, retail look. They then chose our in-house best day ever and bridesmaids text art in addition to the wedding date to complete their getting ready look! Love this look to? You can easily create your own Best Day Ever shirts by incorporating wedding dates or new last names. Choose one of the designs in our gallery and simply add your favorite art and colors. From there, select your favorite style tee, tank, or sweatshirt. Want to be featured on the Bridal Party Tees blog? Share your pictures with us on Facebook, Twitter, or Instagram @bridalpartytees! Have the ultimate FRIENDS theme with I’ll Be There For You bridal party shirts. Use coupon code below to save! Use coupon code YM7BPT at checkout and get 5% off orders of $25.00 or more! Offer expires 5/31/2017 at 11:59PM EST.